They say good things come in threes, and for Montana junior linebacker Dante Olson, they sure do. Olson was named ROOT Sports Big Sky Conference Defensive Player of the Week for the third time this season on Monday following one of the best tackling performances in UM and Big Sky Conference history at Cal Poly on Saturday. 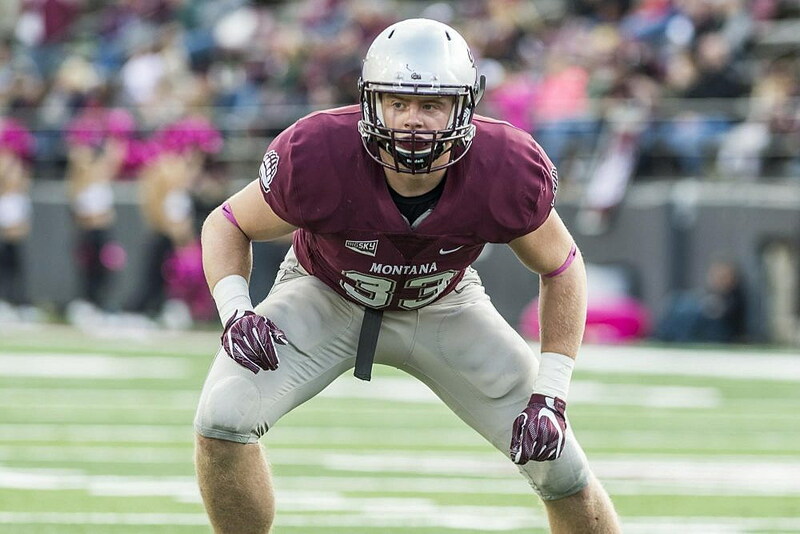 With 24 total tackles (12 solo, 12 assisted), Olson was one tackle shy of tying the Montana school record, and is one of just four players in Big Sky history to account for 24 or more takedowns in a game. Olson now the first defensive player since 2010 to earn three Big Sky Player of the Week awards in a single season, with the last three-peat coming from Eastern Washington linebacker and Buck Buchanan Award winner J.C. Sherritt that year. In Montana’s season opener against Northern Iowa, Olson earned Player of the Week honors for the first time in his career with 13 tackles, a sack, an interception, a quarterback hurry, and a pass breakup in a 26-23 win. A week later, he repeated as Big Sky Player of the Week and was named STATS FCS National Defensive Player of the Week as well with 16 tackles, two sacks, 3.5 tackles for loss, a forced fumble, and a pass breakup against Drake. At Cal Poly, Olson racked up an eye-popping 24 tackles against the Mustangs potent triple-option attack, the most of any player in FCS football this year. Only one other player in all of college football – at any level – has had more total tackles in a game, with Oklahoma linebacker Kenneth Murray picking up 28 against Army, which also runs the triple-option offense. After five weeks of play, Montana has now won four ROOT Sports Big Sky Player of the Week awards, with quarterback Dalton Sneedearning the Offensive honor following the game against Sacramento State.